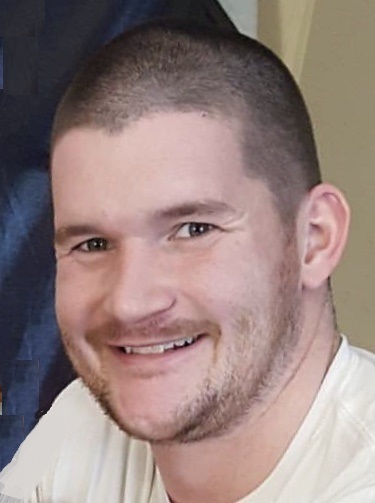 Craig Cannon Crawford, 31, died peacefully at home, Saturday, February 2, 2019, from a heart condition. He was born October 12, 1987 in Painesville. Craig attended St. Mary School, Riverside High School, Auburn Career Center, and Lakeland Community College. He had multiple certificates in industrial maintenance, welding, and fabrication. He was also owner/operator of Cannon Door Service. He was a loving and devoted father, uncle, brother, son, and friend to many. He loved animals, especially his dogs Cash, Chance, and Rose. Craig was always willing to help family, friends, and animals in need. He had a passion for music, movie quotes, and all things Mike Tyson. Craig is survived by his son, the love of his life, Caden; his parents Kimberly Crawford (née Cannon) of Painesville and David Crawford of Union Pt., Georgia; siblings Joe (Sheena) Crawford of Painesville, Chris Crawford of Canton, Clare (Zach) Il’Giovine of University Heights; nephew Luca Il’Giovine; and grandparents Joseph and Patricia Cannon. He will also be missed by his many aunts, uncles, and cousins. He was preceded in death by his uncle, Charles Cannon, and his grandparents John and Lillie Crawford. Funeral Services will be 11:00 AM, Saturday February 9, 2019 at Spear Mulqueeny Funeral Home, 667 Mentor Avenue, Painesville, Ohio. Family and friends will be received 4:00-8:00 PM, Friday, February 8th at the funeral home. In lieu of flowers, donations can be made to the Craig Cannon Crawford Memorial Fund at any PNC bank, dedicated to his son Caden.